Grocery shopping is my least favorite chore in the world. Stuck in a fluorescent cave where the aroma of freshly baked bread battles it out with the stench of spoiled fish, confronted by carelessly discarded carts and poorly placed products, my anxiety level rises to Mount Everest proportions. As if the entire shopping experience isn’t designed to slow your pace to a crawl, lately I’ve noticed an increase in the amount of people that think grocery shopping is a spectator sport. You’ve seen them. While one of them peers at the shopping list and looks for sales, the other dawdles, randomly stopping to block an aisle or access to items. They come around corners at sloooow speed, t-boning the carts of the people who are moving at a brisk pace. They grab a cup of complimentary coffee and then steer the cart with one hand, causing it to veer from side to side and making it impossible to pass them. While their significant other inspects every label on every brand of stewed tomatoes, they block the aisle and watch like it’s their job. I assume the majority of grocery spectators are deaf or hard of hearing. They don’t move or otherwise respond to polite throat clearing, the rumbling of an approaching cart, or the plea “excuse me, I need to get by.” Once they’ve found an inconsiderate place to be, they’ll stand their ground until their partner moves on. There are many reasons to hate this practice. 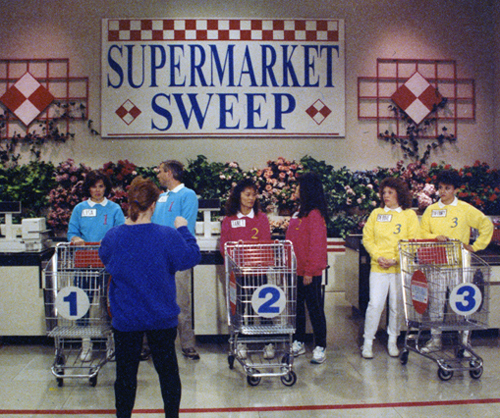 For example, grocery store spectating promotes poor time management skills. Two people, one grocery store? Live a little and split the list in half. Or send the cart pusher off for heavy items while the other spirit communes with the cereal until they divine the right brand for their breakfast enjoyment. Better yet, send them to the magazine aisle, no one uses that one much. Or leave them in the car. Maybe they can clean it while you’re inside. There are much better uses of time than to be the vestigial tail of a shopping team. And I don’t want to get started on those who take small children on a grocery shopping trip. I hope there’s a special circle of hell for them. How to fix the problem? I don’t know whether there needs to be a special Facebook group, a Kickstarter project to educate people against it, or a twitter campaign to alert the masses, but the word needs to get out there – Grocery shopping isn’t a spectator sport. If a grocery chain wants to double the size of their aisles, provide viewing areas, and replace the overhead music with sports announcers, by all means, invite someone along to watch you shop. This entry was posted in Uncategorized and tagged children, grocery shopping, hell, spectator sport, spirit commune. As a mother of four, I can assure you that when I’m bringing my kids into the grocery store, it’s not for the purpose of being a spectator. If a parent has kids along, they are all business. We are there to get food. Hi Kathy! Sorry but my sweeping generalization didn’t take into account all the responsible parents who shop with their kids. I know when my kids were small, we were all business, too. Unfortunately there’s those that let their kids use the grocery store as an amusement park (climbing up shelves, bouncing the carts around, chasing each other around the aisles, and using wheelies or a skateboard ;). That’s what I really have a problem with. Thanks for your comment.